Remember this little wreath tutorial? A fellow crafter commented, "Hi!! Don't know if you know but your little tip about using the foam tubing is all over pinterest! Thanks!!" First thought, yay! I'm glad people are taking advantage of some $$ saving. BUT many are having frustrations with creating a nice, neat circle. I wish to address these issues as best I can. To those of you who have attempted this and failed, I'm sorry the tip caused frustration. It was the first wreath I ever made using a "form". I saw the foam tubing and gave it a try. Oddly enough, it worked great the first try with no "ovaling", buckling or bending. I didn't add anything to stabilize it, just duct tape to secure the ends together. When I posted the tip, I thought it would work the same for everyone. Not the case! I'm guessing this foam tubing will only suite wreaths that are smaller in diameter and have "chunky" decor, like the coffee filters. My tubing wreath form was about 8-9" in diameter. The finished product was around 16" in diameter after the coffee filters were added. It's been indoors (not sure foam would do well outdoors) and has held up great since I did it a year ago. If you wish to do a wreath wrapped in yarn, this tip is not for you. That type of wreath will definitely require a more sturdy form, as some crafters are, unfortunately, finding out the hard way. "I think the issue with not being able to get the pipe insulation round has to do with the diameter of the insulation used. At least that's the issue I had. At first I used 3/4 inch diameter tubing and it was bulging and wouldn't get very round. Then I got 1/2 inch diameter tubing and it bends into a beautiful circle without any issues. Hope this helps some others!" After messing around with it to solve this problem, I have found if you give the tubing a twist while it is straight, then form the circle keeping the twist in tact, it creates a more taut form that will keep a circle better. I hope this information helps. I have used the tubing successfully and it can be a cost effective solution for some, not all, types of wreaths. 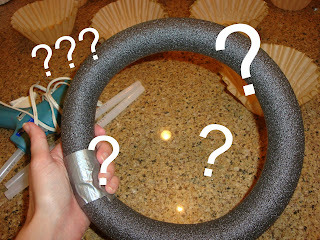 Below is a list of bloggers who have made foam tubing wreaths. Check them out for pictures, tips or tricks. 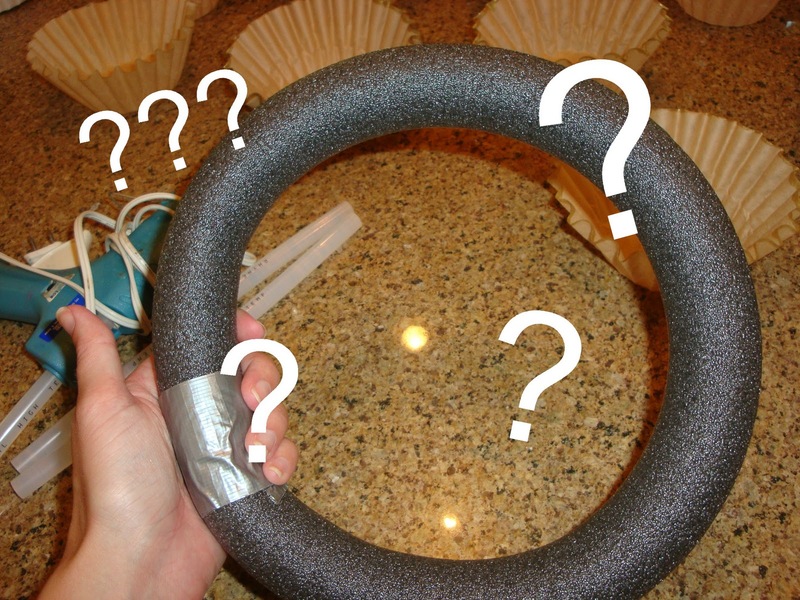 Check out this tip from Gail Made: How To Avoid Pipe Insulation Wreath Kink! Thanks for posting this! I just tried the twisting method, but to no avail. Part of my problem was not being able to get perfectly straight tubing from the display in the store. The box was over 6 feet off the floor and I had to get a sales associate to get some down for me. I felt bad asking him to let me pick and choose, so I bought the first three he handed me. Props to you for finding this money saving tip! I thought I would add a couple tips that I have found making these wreaths. The pipe insulation I bought had a slit down one side (I'm guessing it all has this). If I turned the slit to the inside of the wreath it works good. I had some trial and error to figure this out. With my argyle wreath, I doubled it and had more structure. I used 1/2" tubing on my Halloween wreath (https://thisdiylife.wordpress.com/2011/10/05/not-just-for-christmas-anymore/) and 3/4" tubing on my Fall/Canada Day wreath (http://thisdiylife.wordpress.com/2011/11/02/challenge-completed-argyle-style/). I also had a tulle wreath that I completed without doubling it, but it has never been hung up...our kitten adopted it as a bed...and a play toy. Again, thanks for posting the idea! I'll be using it for many wreaths to come! Thanks for the tips! I just stuffed it with newspaper and it worked just right!Thanks for linking back too! 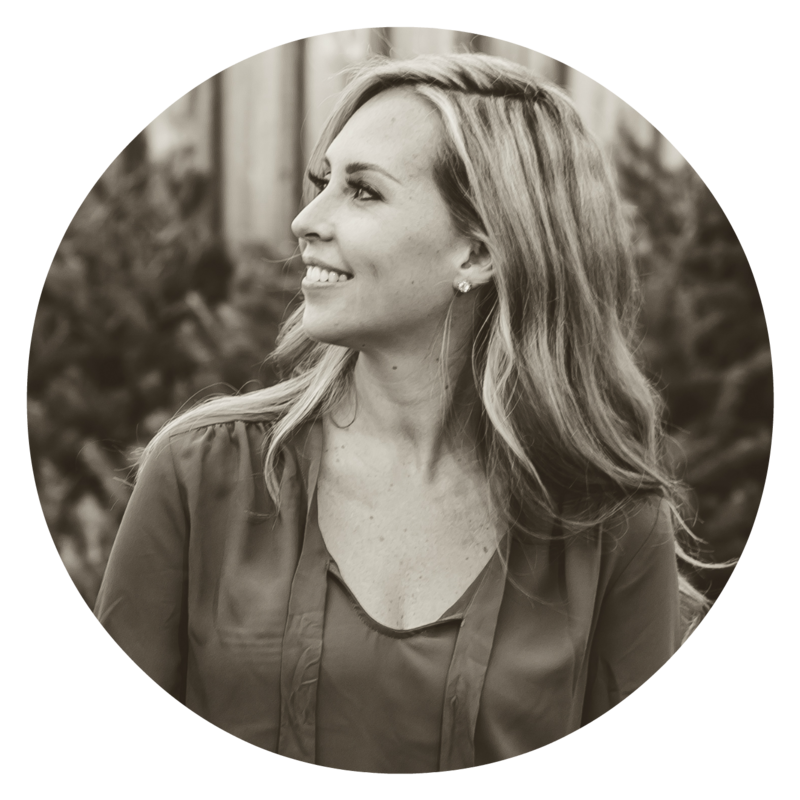 It was such a wonderful $ saving tip and I am glad that you are getting traffic and recognition for it! Stuffed mine with toilet paper!! Worked perfect!!! might never understand. It seems too complex and very broad for me. technique of blogging. I saved as a favorite it to my bookmark website list and will be checking back soon. Please visit my web site too and tell me what you think. It's a shame you don't have a donate button! 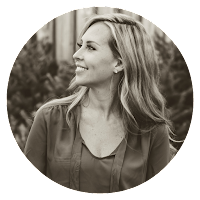 I'd definitely donate to this brilliant blog! Really impressive post. I read it whole and going to share it with my social circules. I enjoyed your article and planning to rewrite it on my own blog..